Learn the causes behind Osgood-Schlatters, plus its’ treatment and prevention. 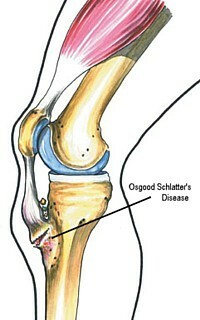 Osgood-Schlatters Disease is a common cause of knee pain in late adolescent and early teenage boys. The condition is less prevalent in females, although being active in sports increases a young female’s chances. The term disease is often misleading, as it is not caused by bacteria, virus or other disease causing substance. It is labeled a disease due to its chronic nature. This condition was named for the two doctors who defined the condition, simultaneously, in 1908; Dr. Robert Osgood and Dr. Carl Schlatter. If you suffer from Osgood-Schlatters or are seeking to prevent its occurrence it is important to follow the information in this article. In addition, adding a few simple stretches to your fitness program will also help. 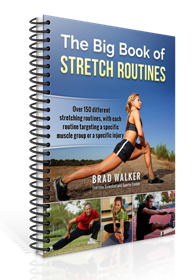 To get started on a safe and effective stretching routine that’s just right for you, check out the Ultimate Guide to Stretching & Flexibility. The quadriceps tendon attaches to the patella (knee cap) and then continues down to the top of the tibia as the patellar tendon. When the quadriceps muscle flexes it shortens pulling upward on the tendon, which in turn causes the tendon to pull up on the tibia, causing the lower leg to extend. As with any attachment it is under considerable stress when forcibly extending the knee or supporting the bodyweight during dynamic activities. Repetitive forceful contractions of the quadriceps can cause tiny avulsion fractures at the tendon attachment on the tibia. The bone will attempt to repair itself by adding more calcium to the area to protect and strengthen the attachment. This causes the lump under the knee often associated with Osgood-Schlatters Disease. When an adolescent or young teen goes through a growth spurt the muscles often struggle to keep pace with the growing bones and therefore are often too short compared with the accompanying bones. This places additional stress on the attachments and happens often with the femur and quadriceps muscle. The femur grows quickly and the quadriceps does not stretch so the muscle is tight until it has a chance to adapt to the new growth. This puts a chronic strain on the quadriceps and patellar tendon. This stress leads to those tiny fractures at the attachment site when the muscle is under stress. These lead to the calcium loading at the site and pain and inflammation result. Knees are complex joints with many ligaments, tendons, bones and cartilaginous surfaces to be considered. Therefore, any serious or chronic knee pain should be evaluated by a sports medicine professional to determine the cause. Most athletes with this condition find relief from rest and stretching the quadriceps muscle. This condition is rarely a long-term concern and will most often correct itself as the bones harden and mature. 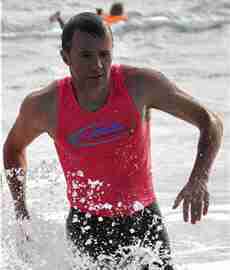 Osgood-Schlatters often goes away as the athlete matures and the bone growth slows and allows the muscles to catch up. Reducing the stress on the patellar tendon will help facilitate healing. Resting, or reducing time from activities that cause pain will also allow the area to heal without further injury. Stretching the quadriceps will also alleviate the stress on the tendon and attachment. Managing the pain and inflammation is important in treating this condition. Icing the area after an activity will help control inflammation and reduce soreness. Anti-inflammatory medication may also be of help in pain and inflammation management. Rest will often reduce the pain as well. Rest is a key component in prevention of many injuries. For Osgood-Schlatters it is essential to allow the affected area to heal in between bouts of activity. The body uses rest time to recover and get stronger. Too often young athletes fall into the “More is Better” line of thinking and over-train leading to overuse injuries such as Osgood-Schlatters. One of the most important preventative measures is to work into any activity gradually. This is especially important for younger athletes. The bones are not fully developed and therefore are a little weaker and more susceptible to injury. When strenuous activity is started without adequate conditioning and preparation it can cause too much stress on the skeletal system leading to injury. When a young athlete stresses the muscles of the quadriceps with excessive resistance, such as weight training with too heavy a load or sprinting middle distances before working up to it, it can cause undue stress on the patellar tendon and lead to Osgood-Schlatters.